Last time out, we looked at why characters, both main and supporting, are probably the most important element to consider when reviewing a movie. What comes next? Plot. The plot of a film may be defined as “the main events devised and presented by the film-maker as an interrelated sequence”. Typically, the plot drives the film forward as the main character pursues his or her goal and shows the main character facing and overcoming obstacles to this goal that becoming increasingly difficult. A key factor of a plot is that these events must be logical and realistic within the context of the world built up by the film and that these events must be connected, meaning one event must logically lead to the subsequent event. Now, this is not as easy as it sounds and quite often a film is letdown by plot holes or inconsistencies which weakens the narrative. Such inconsistencies include such things as illogical or impossible events, and statements or events that contradict earlier events in the storyline. Case in point, The Last Jedi – the latest Star Wars instalment – has been criticised for its numerous plot inconsistencies. For example, a resistance ship is attacked resulting in General Leia being pushed out in space. Now, logically, Leia should have died but inexplicably she survives and even flies back to the resistance ship, seemingly by the power of the Force. Not only that, her colleagues open a door to let her in – which should logically cause decompression to occur – but none of that happens! Now, writer/director Rian Johnson would have the audience ignore those illogical events in service of the storyline, even though it makes no sense whatsoever. A clear instance of bad writing which causes the audience to lose the suspension of disbelief and question the logic of the plot. Compare this sequence to a similar one in Guardians of the Galaxy. Nebula destroys Gamora’s space-craft leaving her exposed in space. Starlord realises that Gamora would die if nothing is done and so he contacts Yondu and gambles that his former mentor would come to transport Starlord and Gamora onto Yondu’s ship, in order to capture him. Then, despite Rocket’s protests, Starlord flies out to Gamora and puts his helmet on her. However, now his life is threatened and we can see his life ebbing away as well. Again, that would be the end of Starlord if Yondu did not rise to the bait. Thankfully, Starlord’s gambit succeeds and both he and Gamora are rescued. If, Starlord – like Leia – suddenly displayed super-powers without reason in order to survive in space, it would fail the logic test. Instead, Quill has to come up with a logical plan to survive the imminent threat of death, which is an example of good writing. 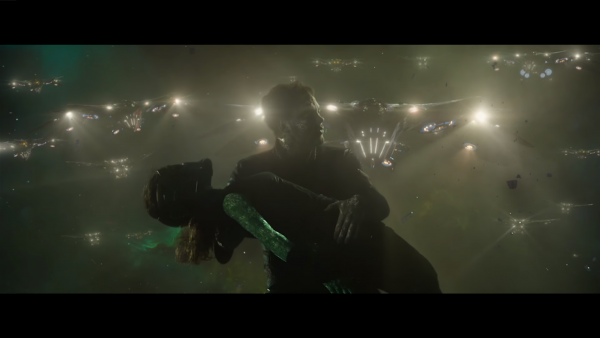 In addition, the audience is able to see Starlord willing to sacrifice his own life in order to save Gamora and this growth of his character adds to his relatability, as the hero of the piece. 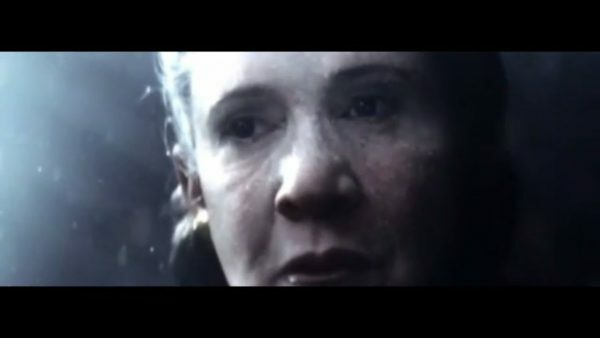 In the case of The Last Jedi, the movie sacrifices logic in order to provide the audience with a cheap twist, delivering inconsistent characterisation for Leia, a clear instance of bad writing.